The Reclaim, sold through Sprint in the United States, looks sleek and feels great in the hand. Nothing about the build or texture of the phone feels recycled. Underneath its bio-plastic exterior, the Reclaim has some technological game. 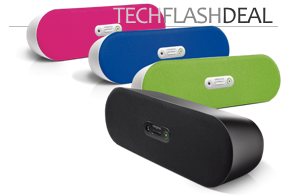 Included are 3G data network support, a 2-megapixel still- and video-camera with 3x digital zoom, integrated speakerphone, a GPS receiver, stereo Bluetooth support, a microSD slot (that can hold a card up to 16GB) and voice dialing. The Reclaim’s LCD screen is a respectable 2.6 inches. The battery offers a more-than-respectable 6 hours of talk time. But what we love most about the Reclaim is its full slide-down QWERTY keypad and its price. 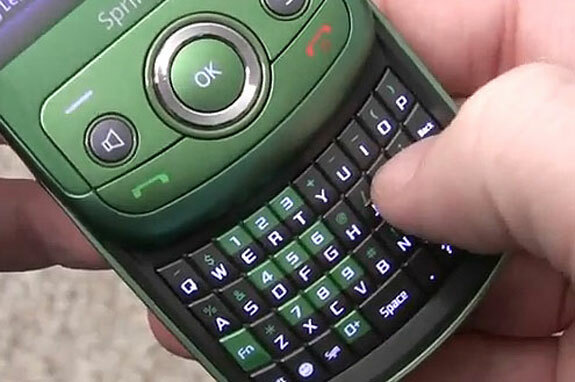 The keypad is one of the best we’ve ever used on a smartphone; in fact, the Reclaim’s keyboard may even top what had been of favorite phone keypad, the one on the Blackberry Curve. As for the price, it is rather spectacular also: purchase through Amazon also with a Sprint contract and the Reclaim will set you back all of 1 penny!! The downsides of the phone? The Reclaim doesn’t have wi-fi web browsing. The video quality is a little grainy. And the phone runs on a Sprint OS that doesn’t allow for the large selection of third-party apps such as those available for the iPhone or Blackberry. Spot Cool Stuff, being a lover of all apps weird and wonderful, is bothered by this last point but most users probably won’t be. The operating system on the Reclaim is intuitive and mostly well done (Sprint’s MP3 music store being the major exception). The Reclaim has apps for what most people want to do with their smartphones including web browsing, email, GPS, Twitter and Facebook. The Reclaim is not entirely made from corn. It is constructed 40% from corn-based bio-plastics and another 40% from other recyclable material. The remaining 20%, we are guessing, is plutonium. 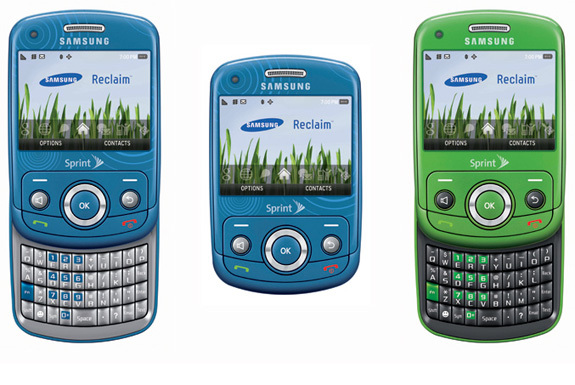 Still, Samsung & Sprint’s commitment to making the Reclaim environmentally-friendly is highly commendable. The phone’s packaging is made of 70% recycled materials. To save paper, the Reclaim comes only with a minimalist manual (the full manual being available as a PDF download online). Whatever paper is included with the Reclaim is printed using soy-based inks. Reclaim’s eco-friendliness, along with its $0.01 price with a Sprint service contract, make it ideal for people who want to do a little something green for the planet while also keeping a little green in their wallets. But even with price and environmental benefits aside, Samsung has produced a more-than-capable device with this mobile. Those seeking a solid, good-looking smartphone with a full QWERTY keyboard shouldn’t hesitate to claim a Reclaim. 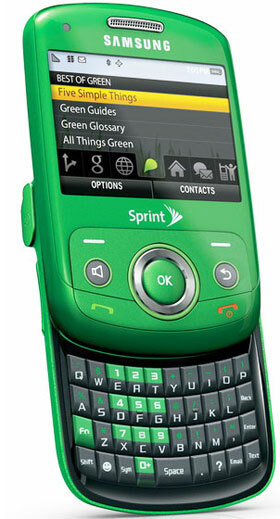 I would just like to say that I didn’t like this eco friendly phone. I appreciated the small size and light weight but other then that this phone contributed nothing that any ordinary phone couldn’t. After only two weeks of having this phone the END button stoped working, I couldn’t hang up phone calls or leave a screen once I got to it. So my thought when I couldn’t hang up a phone call was to take out the battery but if I would take out the battery I COULDN’T TURN THE PHONE BACK ON!! I don’t recommend this phone. I just bought this phone yesterday and love it so far. Does what I want and has the apps I want. We think the Reclaim is a great size—not crazy tiny but certainly pocketable. The amount of corn used to produce one phone pretty is miniscule and seems to us to be a VERY good trade off compared to the environmental harm of producing a traditional plastic phone that will take up landfill space at the end of its life. But we understand what you are getting at: using large quantities of corn that could be used to feed people in order to make ethanol fuel, for example, seems to us environmentally and morally dubious. But that’s a different subject.